I saw this video late one night and fancied having a go, but I have very few wood veneer pieces. A star from last year’s advent calendar and a couple of trees, I think, and that is about it. I was looking for other things that might work and decided to try some chipboard. It worked too, although the pigment ink soaked in to the chipboard more than I would have liked on some pieces – and getting the pieces down on the cardstock in any sort of reasonable alignment was tricky, The pigment ink is so wet and stays wet for so long, even the tiniest dot on a finger tip ends up on the final piece. But the emboss is quite deep, which is nice. Also some cracking…not so nice. I did play around with the idea of coating the chipboard with gel medium to keep the surface from peeling away when you pull it off, but the brush strokes (and even the texture from the brayer, using my Gelli plate-to-coat trick) show. Maybe the kind of chipboard that has a coating on it would be the best kind for this. So I have done faux letterpress with embossing folders but the real problem with that is it’s so hard to skim the paint or ink on just the raised bits and not into the open areas. But as I had the big shout out anyway, and a couple of new stencils, I thought why not try those? I may play around with it a bit more, but the best plan seems to be just to trim it – which makes it less like letterpress! But overall it looks better. Stencils without a border are clearly the best choice for this, but I only have maybe three like that so not ideal. You can see on the back the emboss is decent – not as deep as the veneer but it doesn’t crack at all. Well work further play. I must go back and watch a few more of her videos – I always liked her work in scrapbook mags and books and her cards are cute, but she seems to have a lot of technique videos. I am ALWAYS on the look out for them! Off to make falafel. Should have bought some while I was out, then I could keep playing…. oh well…. Categories: stencils | Tags: inks, Stencil | Permalink. I love this post, but for the life of me I can’t fully comprehend how you did the stencil one. Have you got any more info on that? And did you use a specific card stock or letterpress/watercolour paper? Hope the falafel was yummy!! 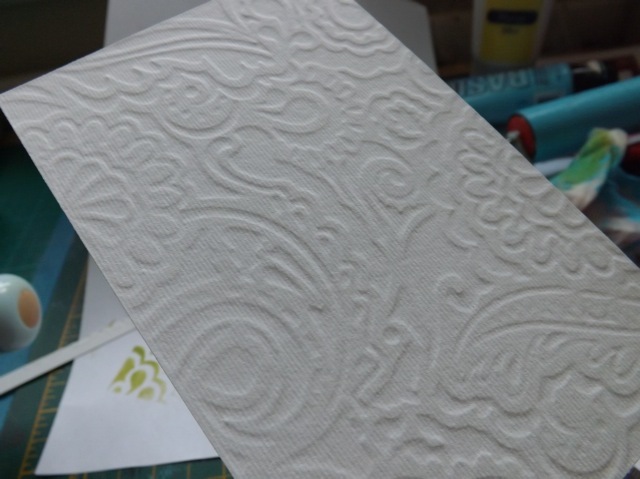 Easy peasy 🙂 You just need to have the wet medium on your stencil – I thought paint dried too quickly, but a pigment ink or chalk ink or even distress ink, that stays wet long enough to get organized, works fine – then follow the instructions for embossing with your machine. The critical bit of the sandwich is that it be the stencil with the ink face up, the paper or card face down over it, then a silicone mat over that . So for my Grand Calibur it is the base plate, the stencil with the ink, the cardstock, then silicone sheet and the raspberry embossing plate. When I use the Big Shot, because I don’t have the Impressions pad, I use the Multi platform, a cutting plate, the stencil with ink, the card, a bit of a spare Grand Calibur tan mat cut down to fit, then an old Club Scrap cutting mat that is just the right thickness, so NO top Big Shot plate. The trickiest part is figuring out the sandwich when you don’t have all the bits 🙂 Other things I have used include a bit of a cork floor tile and one of the red rubber sheets (usually found in 2 thicknesses) that you can get in the plumbing section of Lowes, for example, in the US. They may have them where you are too. Otherwise, just shim it till it fits with card or a bit of chipboard. The embossing will push the ink into the card so where there is a hole in the stencil it will be raised up and the colour of the card, any solid ink covered areas of the stencil will be depressed and inked. Thank you for doing some letterpress. I had the same cracking problem until I tried variations when stacking the machine plates. One design looks better when I use my ebosser and their plates. A different design works better on the sizzix hand crank and still another design works better on 80# laid paper using the rubber pad from the wizard machine but run it through the ebosser and with only 1 ebosser plate. I have since made instruction plates for each design so I do not need to remember which combination works best and which machine I had used for the best effect. 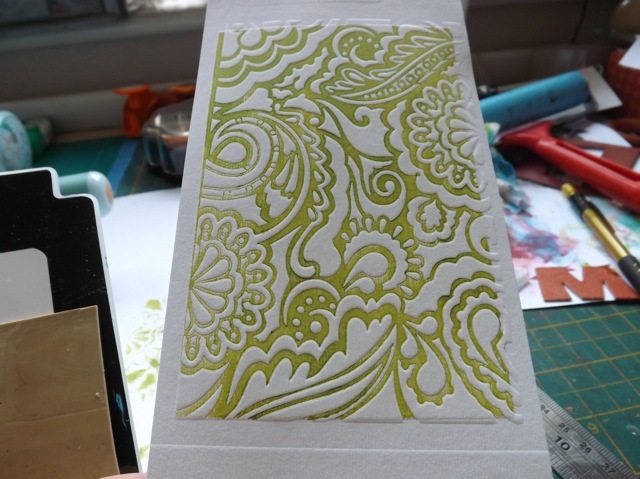 I love letterpress and have used my stencils to create this effect but not my chipboard shapes….will need to try this! Also, love your bracelets in the next post too! Is there anything you cannot turn your hand to? Hi, this is a great set of experiments, MaryAnne! Looks like a lot of fun – I like letterpress printing too. 1) paper “cracking” – try placing the paper in a shallow container of water for a while, then between towels, to dry out most of the water. The water relaxes the fibres in the paper and makes it more flexible. When you have printed, hang the sheets on a string (like laundry! ), or lay them on something like a cake-cooling rack, until they are dry. Be careful to let your printing paper dry til it is just damp, or the water-based printing inks will bleed at the edges of your prints. 2) “real” letterpress isn’t actually that deep an emboss, so don’t worry too much about the impressions – unless that is the effect you are really after because you, personally, prefer it that way. It’s better to get a nice evenly inked impression, than to have it really deep, but patchy. 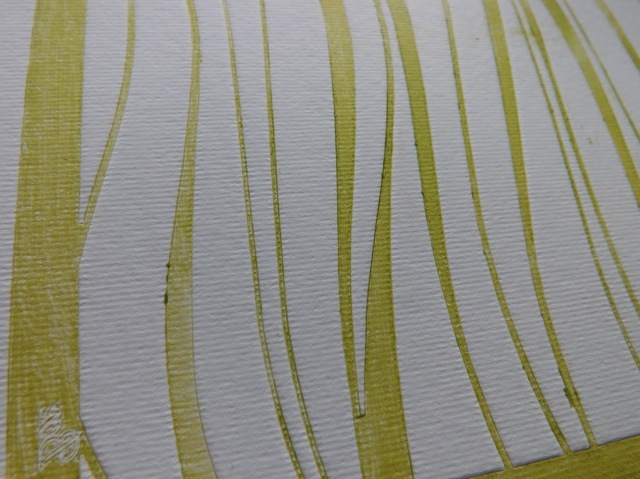 3) if you have inks in tubes/tubs, invest in a roller/brayer to apply the ink. Put just a little at a time onto a ceramic tile, or flat glass cutting board, then roll it out in all directions, til you have a smooth, even layer of ink, with no bubbles. 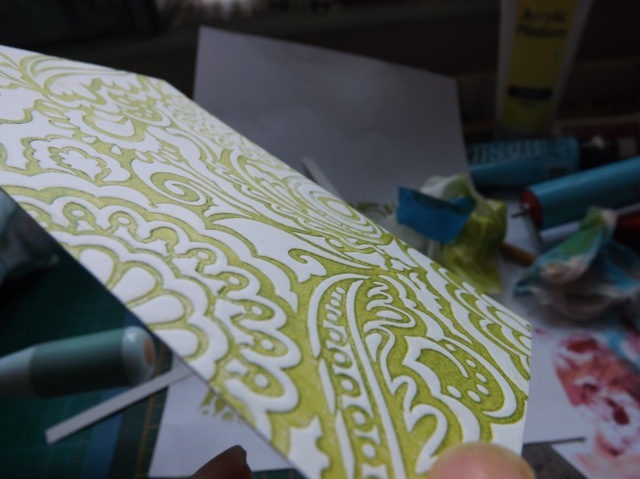 Then apply the ink by rolling the brayer across your printing surface. It should give a more even application and a better result – though some practice may be needed. 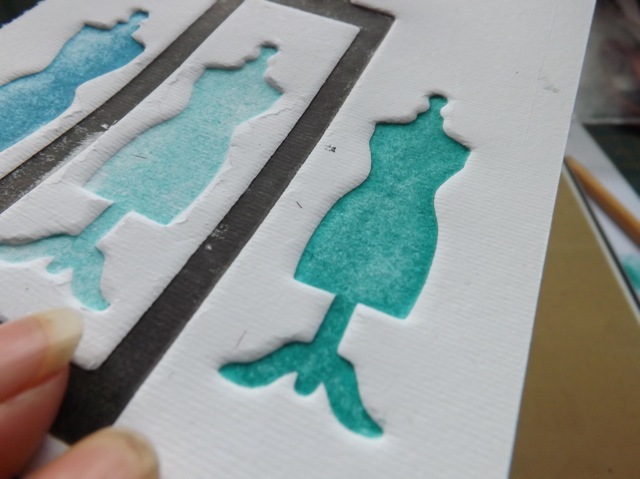 4) when using chipboards or wooden shapes for printing, you could try sealing them first, with pva-and-water mix, carefully and smoothly brushed onto the shapes (and round the edges). Let them dry well, so the glue layer doesn’t peel off. Better, use wood varnish, as this will make a non-peelable seal. I would recommend experimenting with off-cuts first, to make sure it works out how you want it. 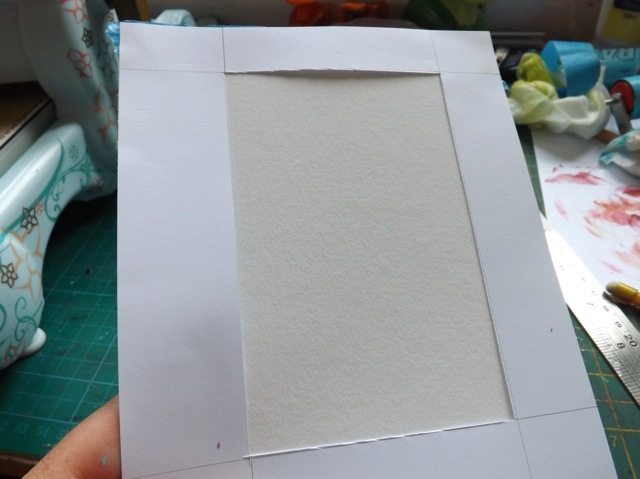 Thanks for the tips – I did try to seal the chipboard (that was the Gelli plate trick I mention) but the texture of the medium or the brush strokes if applying it that way, really do show in the ink. I don’t really have any tube ink, just ink pads, but will bear that in mind. I’m too much of a dilettante 🙂 I am all over the place with my crafting so I always try stuff I have before investing in other stuff. 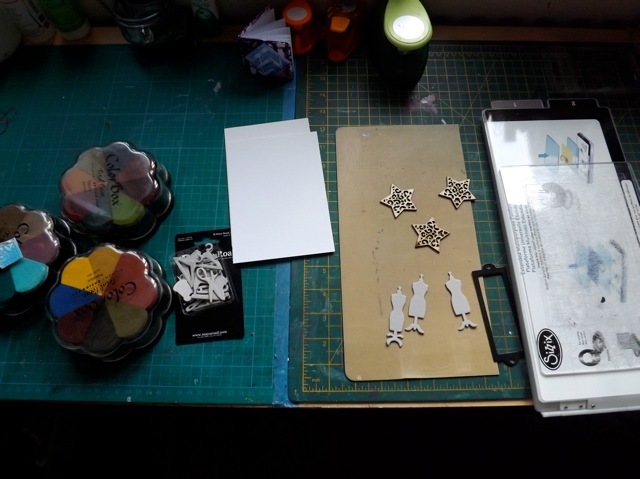 I would have to LOVE the process, and plan on using it OFTEN before I would stock up on tube ink 🙂 But it’s nice to know that would be better – if I were doing a series of cards (like Christmas or invitations or something) I would def. get the ink I needed for that project knowing it would give me a better result. 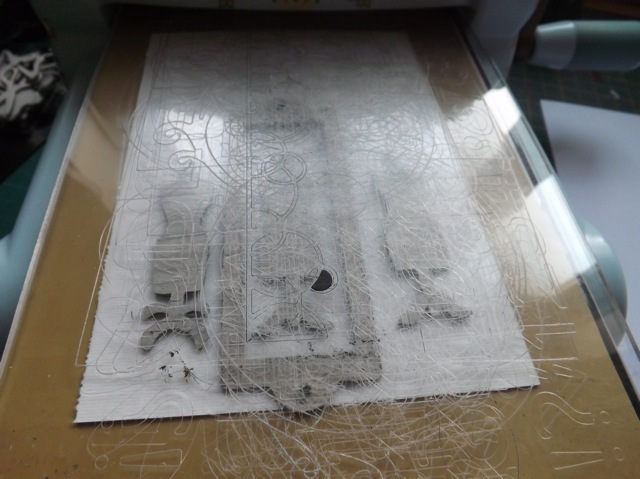 When I did etching, we used to soak our paper first in water, dry it off and then print on it. That way the paper does not crack or tear. It was good quality watercolour paper and we soaked it in trays and dried it between towels. Interesting. Def. something worth playing with! Thanks for another informative post! I had wondered what made letterpressing different than embossing : ).